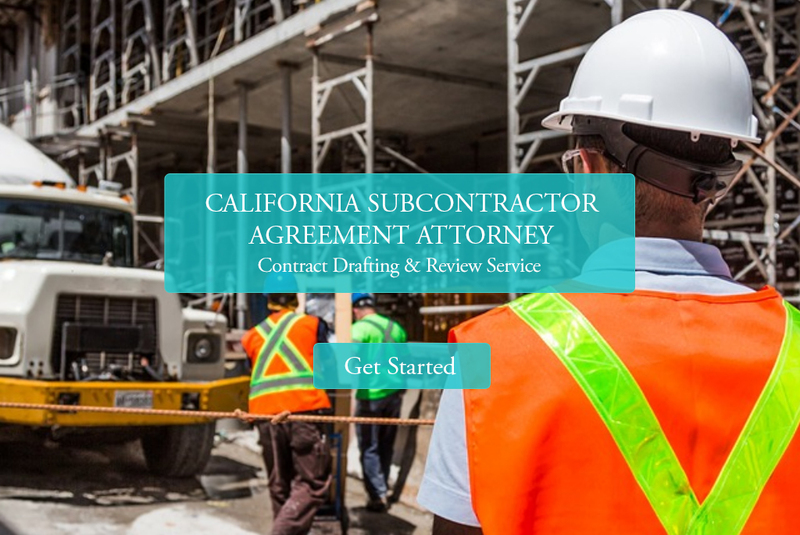 Would you like assistance creating a California subcontractor agreement? At SD Esquire, we help businesses protect their interest by creating subcontractor agreements. Whether you are looking to hire a subcontractor or simply want to make sure your best interest are protected before signing an agreement, contact us for legal advice and counseling before entering into a subcontractor agreement. Read on to learn more about California subcontractor agreements. Large construction projects require lots of people- builders, electricians, plumbers, just to name few. Contractors will hire subcontractors to complete the work on specialized tasks such as the wiring. When hiring a subcontractor, it is in the contractor’s best interest to have the subcontractor sign a subcontractor agreement before the subcontractor does any work on the project. A subcontractor agreement will contain the names of the parties and each party’s duties and responsibilities. It should describe the nature of the project and contain a “scope of work” or “work to be performed.” The statement of work should be specific and descriptive with regards to the necessary materials, equipment, blueprints, work orders, etc. The subcontractor agreement should clearly set the price for the work. If a bond is required, the agreement should state the price of the bond. The agreement should outline the payment schedule. When disputes arise between a contractor and a subcontractor, it is usually because the owner changed the plans, which requires the subcontractor to do extra work not covered by the agreement. The contract should contain a provision that allows for changes in the schedule or the scope of work. Most construction projects are time sensitive, and a subcontractor agreement should reflect that. The agreement should include deadlines. If deadlines are uncertain, then the agreement will say “time is of the essence.” The agreement should state that the subcontractor is liable to the contractor for any penalties the contractor faces for missing a deadline. Subcontractor agreements will often have a liquidated damages clause, which sets a predetermined amount if the subcontractor’s work is not timely. The most important section of a subcontractor agreement is the indemnification clause. A typical indemnification clause will state that the subcontractor assumes the defense and will pay attorney fees for any lawsuits or complaints directly arising from the subcontractor’s work. The agreement should state who is responsible for injuries, losses, and damages. Often times, an agreement will state that the subcontractor is an independent contractor, which limits the contractor’s liability in the case of a workplace accident. In addition to an indemnification clause, there are other provisions a contractor may wish to include that will protect them from potential liability. The contractor’s insurance company will likely require that the subcontractor be insured, and that the subcontractor sign an agreement before they begin work. Usually the insurance policy number will be mentioned in the agreement. By signing the agreement, the subcontractor makes a written statement that they are insured. The agreement might also contain an assurance that the subcontractor is licensed to perform the work they are doing. An agreement might also contain project specific information relating to inspections, safety, clean-up, equipment, etc. While a subcontractor agreement will contain many provisions that are boilerplate, the overall agreement must be tailored to the project. Subcontractor agreements are complex documents that should be drafted by a business attorney. A well drafted subcontractor agreement will protect a contractor from liability and will minimize disputes between the contractor and subcontractor. SD Esquire can help you draft or review a subcontractor agreement. Review our California Contract Drafting, Review & Amendment Service for more information. Subcontractor agreement drafting service starting at $595.